The other day, a graph caught my eye from SimplyHired.com — a website dedicated not only to listing jobs but also exploring employment trends. One of the things you can do with their data is search by keyword. For instance, here is the trending graph for the words “art therapist” among their listings for the past fifteen months. 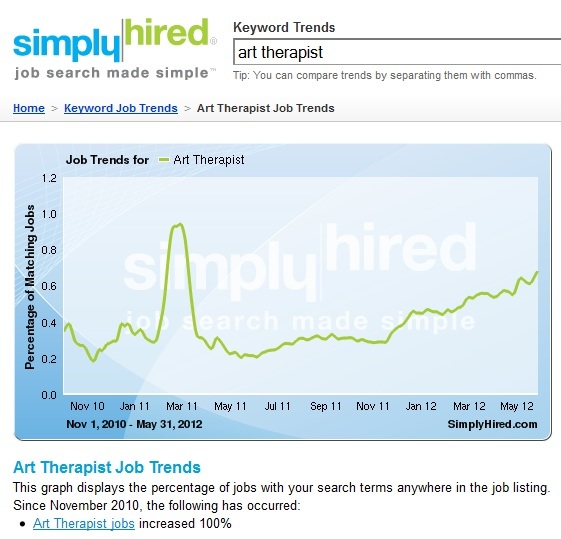 Now, I have no way of knowing how accurate their methods are, or what that glitch was that seemed to happen around March, 2011, but I’m very interested by what the graph claims is a 100% increase in art therapist job listings over the past 15 months. In recent days, I’ve heard of several young art therapists and acquaintances who have “given up” art therapy in pursuit of other careers. They cite a difficult job market and long employment searches. They cite low-paying jobs and duties that no longer interest them. They sometimes express feeling un-recognized or disrespected as “just the art lady” in their place of employment. To me, this points to a need for art therapists to become better educators, marketers, and advocators. (Is that a word? It is now.) I easily spend 25% of my time in training, collaborating, and advocating. I stay abreast of current research so that I can demonstrate the benefits and efficacy of art therapy to potential clients and potential employers alike. 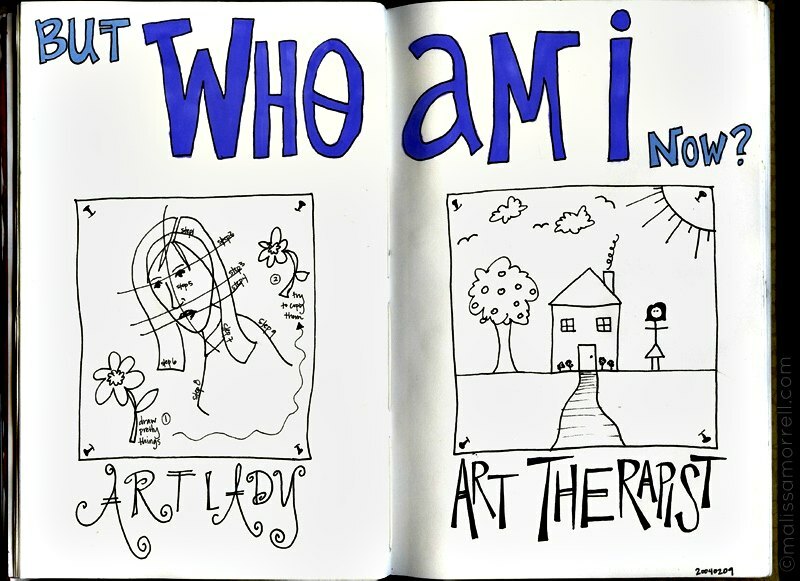 This question of my role, and of what kind of art therapist I wanted to be, is something I have grappled with for many years. 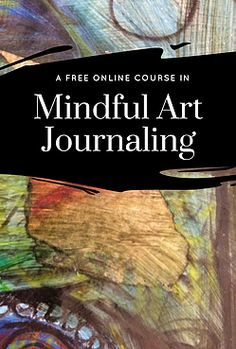 The journal art you see above, done during my first art therapy internship, reflects my developing identity as an art therapist vs. an art teacher or an arts-and-crafts lady. 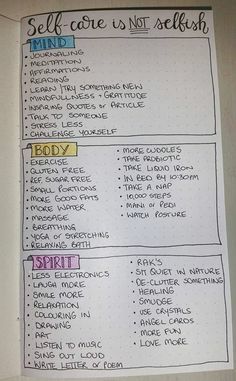 My ideas about practice of art therapy have refined over time, but I always felt strongly about advocating for the power of what I was capable of doing, vs. what my employers expected me to do. 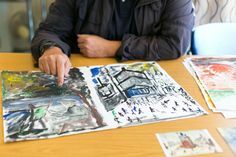 For the past several years, as I have been involved with art therapy graduate students, recent graduates, art therapists seeking supervision hours toward their credential, and potential art therapists, I have been impressed by what I perceive as a shift in the types of people who are interested in art therapy. Gone are the days where “warm, fuzzy feelings” are enough to get you a job. It used to be that you could find a sponsor who sort of believed in what you were doing and find employment for life. 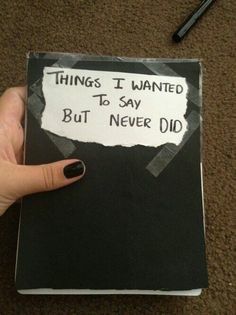 I think those days are gone. To move forward as a profession, we will be responsible for “proving” what we do, demonstrating it, describing it, measuring it, and marketing it. 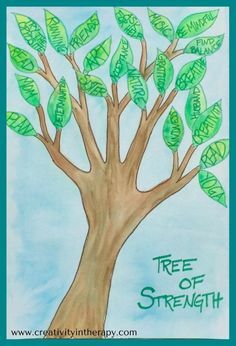 I believe that this new generation of art therapists, interested as they seem to be in research and outcomes and licensure and legitimization of the field as a vibrant yet grounded mental health profession, has the potential to lift the practice and acceptance of art therapy to a new level. 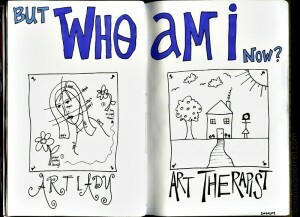 The art therapist of tomorrow is more professional, more knowledgeable, more reliable than ever before. Armed with her knowledge and training and an ever-increasing body of research, she will create jobs where previously there were none. She will work side-by-side with other mental health and medical health professionals, educators and aid workers, systems and agencies, and bring the unquantifiable “magic” of art therapy to more people than ever before. Maybe I’m naive, but I see this steady growth in art therapy jobs as a sign of things to come, and it thrills me. Just thrills me.